One of my favorite things to do is to help instruct someone that is new to the hunting scene. Over the past few years, I have had the privilege to teach through seminars, talk with hunters, and to write multiple articles filled with tips for the beginning predator hunter. Throughout this time, I have realized that many hunters have the aked a few common questions. 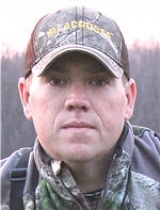 I use my hunting experience to answer those questions using different hunting scenarios I have encountered and a few tips and tricks I have picked up along the way from other predator hunters. Here are the top 5 questions I've been asked about predator hunting. 1. What Firearm Should You Use While Predator Hunting? Answer: There are several different firearms to use while predator hunting. Some of the most popular calibers of rifles to use are .223, .22-250, .243, 6.5 Creedmoor, and a .308. I choose my type of caliber depending on what conditions and terrain I will be hunting. If I am somewhere that I know I will only get a 100-200 yard shot, I will use a .223 or smaller caliber. However, if I am hunting somewhere that I could possibly have a 500 yard shot, I will use a bigger caliber such as the 6.5 Creedmoor. Some hunters will also choose calibers based on minimum pelt damage. Hunters may also use a shotgun to harvest coyotes which also lessens the likelihood of pelt damage. The most common being a 12 gauge with a heavier load such as .00 Buck. On the majority of my hunts I carry both a rifle and shotgun. A shotgun is only effective at approximately 50 yards or closer. My favorite scenario of using both is when two or more coyotes are coming in, I can harvest the closet coyote with the shotgun, and then try to harvest the second with a rifle. 2. When is the Best Time to Hunt - Day or Night? Answer: The die hard predator hunter would answer this question by saying anytime is the best time, and I would have to agree. However, if I had to narrow down a best time to hunt, it would be early in the morning or late in the evenings when there is still light. When hunting in daylight hours, as with most animals, the peak movement is after the first few moments of the sunrise. The same goes for evenings, peak activity is usually the last 2 hours before nightfall. When hunting during night hours, the best time to hunt is as soon it becomes complete darkness. Hunters prefer complete darkness so that their source of artificial light can be used to see approaching coyotes. Hunters will use lights such as the Pursuit Predator 300 Lumens Night Hunting Light. Tip: Be sure to check the state regulations on hunting with artificial lights. 3. Where Should You Sit When Calling Coyotes? Answer: There are a few factors that determine where to sit when calling coyotes, with the most important factor being wind direction. My favorite wind direction is a cross wind, which is when the wind is blowing from one side to the other. The reason for sitting with a cross wind instead of it blowing in the hunters face is so that a shot opportunity is always a possibility in the downwind direction. The majority of coyotes will circle to approach the downwind side when coming to a call. As for choosing a specific spot to sit, it should be up against a surface wider than one's shoulders, such as a tree, rock, or against the side of hill. This is done to prevent being silhouetted when a predator is approaching. If nothing is available to sit against, use shadows to help break up the human outline. Using the Tenzing TZPP15 Predator Pack is another great way to sit comfortably when there is no cover to sit beside. This vest allows the hunter to sit in any open area in a shooting position, it also holds a lot of the gear that is needed to have a successful hunt. Tip: Always wear some type of camouflage to help blend in to the surroundings. This should include a facemask and gloves such as the NOMAD Harvester Gloves. This is used to cover up any exposed skin. It can be difficult to tell the difference between a wolf and a coyote. 4. How Long to Sit on Stand? Answer: This is one of the most asked questions among beginning predator hunters. In my own personal opinion, I think the time that is spent calling depends on a few different factors. Take into consideration the amount of time that is going to be spent on the hunt. For example, in predator calling contest, hunters only have a short period of time to hunt (usually 1 to 2 days), when this is the case hunters will spend less time at each spot so that they can cover more ground. Contest hunters will spend 15 to 30 minutes on a stand before moving to the next spot. If hunting on a normal time schedule, the usual time on a stand is 30 to 45 minutes. I use a FOXPRO Shockwave electronic game caller. The FOXPRO game caller has a stand timer displayed on the remote. I will watch this timer to determine when to call. For example, I will use coyote vocal sounds at the 30 minute mark. If nothing shows up by the 45 minute mark, I will move to the next spot. Tip: When hunting bobcats, the amount of time spent on each stand will increase. Bobcats will take their time, sneaking into the call slowly. When specifically hunting bobcats, sit on each stand for 45 minutes to a hour before moving to the next stand. 5. Should I Use Coyote Howls Before Calling? Answer: Howling before starting a calling sequence has become one of the most widely used tactics among predator hunters. Common questions among beginning hunters are what sounds they should use and how long they should use them. The purpose in howling before a calling sequence is to mess with a canine's territorial instinct. When making 4 to 5 soft subtle howls before using distress sounds, it appears that another coyote has come into their area. Once sounds such as a rabbit in distress begin to play, it creates a scenario in which one coyote thinks that the other will make it to the distressed rabbit first, resulting in a faster response time. Coyotes will not only respond to the combination of distress sounds and howls but also directly to the howls alone. The howl only method works because it entices the canine to see who is new to their terrain. As a general rule, the caller should start off with making 3 to 4 howls, pause for 30 to 40 seconds then make another 3 to 4 howls. During the winter months, callers can also add in a few challenge howls, or some barks along with the howling. Tip: Find the top rated Primos Hot dog Predator Coyote Howler Call at Cabela's here. Calling coyotes can be a fun and exciting time. The best way to become more successful is to listen to others and what has worked for them. Each time a hunter ventures out into the field it is a new learning experience, which is why one should get out and enjoy the fast action of predator hunting.